As the National Democratic Alliance (NDA) government led by Prime Minister NarendraModi completes three years in power on May 26 2017, its performance with regard to the modernisation of the Indian armed forces is bound to come under scrutiny and critical examination by not only by analysts and think tanks alike, but also by those within the organisation. Given the lofty promises made by the BharatiyaJanata Party (BJP) during the campaign in the run up to the national elections in 2014 that led to elevation of expectations all round, there is considerable anxiety as well as a degree of impatience not only amongst the general populace, but amongst the personnel of the Indian armed forces too with regard to the state of their operational preparedness. Given the rising tension with both Pakistan and China as well as the raging fire in the state of Jammu and Kashmir to which there appears to be no solution in sight and which has the potential of igniting a full scale war with our Western neighbour with possible collusion between the two hostile neighbours, the concern over the state of operational readiness of the Indian armed forces is quite understandable and valid. This is further heightened by a recent communication related to national security, to all officers of the Indian Air Force (IAF) by Air Chief Marshal BS Dhanoa, Chief of the Air Staff (CAS), IAF. In his missive issued soon after assuming charge as the CAS, he has directed all officers to prepare for short and intense war with Pakistan lasting around ten days and for a war against China lasting for around 15 days. The inference from this message is that for the Indian armed forces, the fourth largest in the world, to be regarded to be operationally ready for war, they must be adequately equipped to take on both Pakistan and China in the event of war breaking out on both the Northern and Western fronts simultaneously. When the Modi-led NDA government was sworn into office on May 26, 2014, it inherited the Indian forces that was not ready for war. The three services had suffered prolonged neglect in respect of modernisation in the period 2004 to 2014 owing to a number of factors. Apart from the mind-boggling complexity of the process of acquisition of military hardware regulated by the Defence Procurement Procedure (DPP), there was a degree of political apathy that compounded the problem and had brought the process of modernisation of the Indian armed forces practically to a halt. But what was most disconcerting for the Indian armed forces as also for the original equipment manufacturers (OEM) abroad was that the process of acquisition of defence equipment by the Indian Ministry of Defence (MOD) was riddled with corruption. With scams of differing magnitude in the processing of tenders for defence contracts surfacing every now and then, projects for the acquisition of platforms or weapon systems were cancelled repeatedly and even global aerospace and defence majors of repute were blacklisted. Some cases of blacklisting proved to be self-inflicted injuries as this action by the government impinged on other ongoing contracts where the affected foreign company was already involved. The net effect was that the process of acquisition of defence equipment had practically come to a grinding halt, shattering all hopes of the Indian armed forces of developing the capability to confront the challenge posed by the two adversaries, either singly or in collusion. However, in the last three years under the Modi-led NDA government, there has undoubtedly been some forward movement, bringing some relief for the Indian armed forces. In the last three years, in an effort to speed up the process of modernisation of the Indian armed forces, the NDA government cleared a total of 136 proposals for the procurement of military hardware. Most of these proposals initiated by the three services had been pending for some time one reason or another. The total value of these 136 proposals for the modernisation of the Indianarmed forces is estimated at around $59 billion or Rs 4 lakh crore. 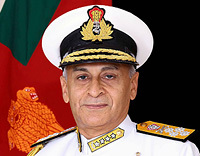 In a conservative assessment, while this may not be regarded as a modest allocation of resources for the Indian armed forces, when viewed in the context of the evolving geopolitical situation and the rapidly deteriorating situation in the region, this would only be a small part of the total requirement for comprehensive modernisation. Undoubtedly, there is indeed much remains to be done in the interest of national security. Shifting the focus to the IAF, the situation with regard to modernisation prevailing at the end of the three year rule by the NDA government is enumerated in the succeeding paragraphs. 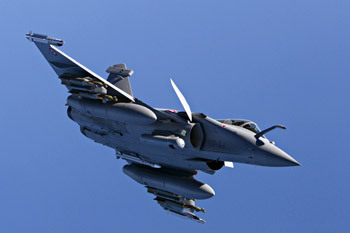 Efforts by the IAF during the UPA II regime to procure 126 medium multi-role combat aircraft for which the IAF had identified the most capable and potent combat platform but somewhat expensive, the Rafalejet fighter from Dassault Aviation of France, hit an insurmountable road block. Soon after assuming office, Prime Minister Narendra Modi through personal interaction with the President of France during a state visit to that country, broke the stalemate and salvaged the situation but only partially. Instead of 126 aircraft, a direct deal with the French government was negotiated for 36 aircraft for which the contract has been concluded and delivery is scheduled to commence in 2019 and all 36 aircraft are to be delivered by 2022. While this will only provide partial relief, in the context of the alarming erosion of combat capability on account of obsolescence of the combat platforms acquired from the Soviet Union commencing in the mid 1960s and with no fresh inductions after the Su-30 MKI that commenced at the beginning of the last decade, the IAF has been and continues to be in the those of a crisis. 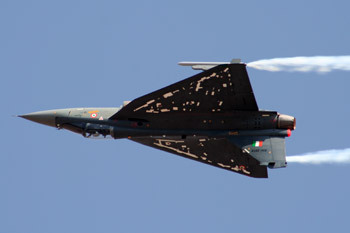 To address problems afflicting the combat fleet of the IAF, the government provided the necessary push to the indigenous light combat aircraft (LCA) Tejas programme. Apart from commissioning the first squadron of the Tejas Mk I at Bengaluru albeit with just two aircraft, the government has sanctioned a second production line for the Tejas Mk I to enhance the rate of production from eight aircraft per yearto 16. As the Tejas Mk II was still a long way off, the MOD authorised the Tejas Mk IA with enhanced capability to alleviate shortages in the combat fleet. The IAF has placed orders for a total of 120 Tejas which, subject to the second production line being commissioned soon, is expectedto be delivered by 2025-26. 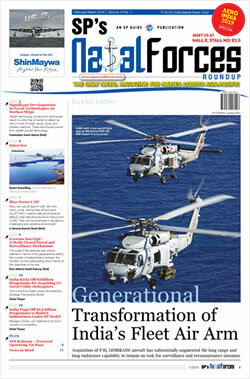 But perhaps the most expeditious step by the NDA government to restore the combat potential of the IAF has been to produce a proven single-engine combat platform in large numbers within the country through collaboration with the selected foreign OEM under the Prime Minister's Make in India programme. The selected OEM will establish its production line in India and with full transfer of technology, produce the combat platform not only for the IAF but also for the global market. In the regime of helicopters, the NDA government has made notable headway towards modernisation is for the acquisition of the Light Utility Helicopter (LUH). This platform is required by the three services in fairly large numbers to replace the obsolescent fleets of Cheetah and Chetak helicopters whose induction had commenced in the 1970s.Ten years of effort to procure LUH for the Indian armed forces went in vain as the tender was cancelled twice in this period on account of allegations of wrong doing by the agencies involved. 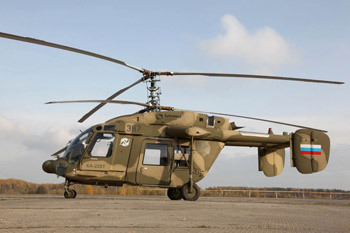 However, the NDA government has successfully negotiated a deal directly with the Russian Government to set up a facility in Tumkur, North of Bengaluru, to manufacture the Kamov Ka-226Tunder the Make in India scheme. The initial requirement for the three services has been assessed as for 440 machines. When inducted, this platform will significantly enhance the capability of the services of providing logistic support especially in the mountainous regions of the North and the North East. A contract has been signed for the procurement of Apache Attack Helicopters and Chinook Heavy Lift Helicopters from Boeing of the US. Induction of these will boost offensive and heavy Heli-lift capabilities of IAF. Induction of ALH Mk-III & ALH Mk IV and Weapon System Integrate (WSI) of helicopters is under progress. 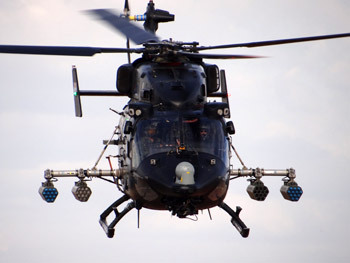 Ten LSP Light Combat Helicopters are also being procured from HAL. 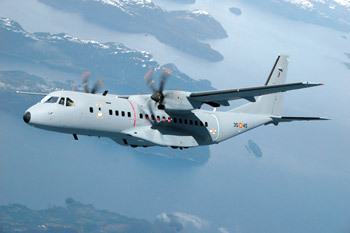 The third major project to be finalisedunder the Make in India programme of the NDA government is the replacement of the obsolescent Avro fleet of 56 aircraft currently in service with the IAF by the Airbus C-295 twin-turboprop transport aircraft. This platform will be manufactured in India by Tata Advanced Systems Limited in collaboration with Airbus Defence and Space. Apart from aircraft, the IAF is in the process of induction of a variety of systems to revamp the air defence of Indian air space..The systems under induction or are under processing include new generation Air Defence radars, Very Short Range Air Defence Systems (VSHORADS),SPYDER QRSAM, MRSAMs and the S-400 Triumph Air Defence System. But where the NDA government has made notable progress is in its efforts at simplification of procedures for the procurement of defence equipment and indigenisation of the Indian aerospace and defence industry through enhanced participation by the private sector. The Strategic Partnership model is designed to help boost indigenisation of the defence industry. Hopefully, Prime Minister Modi will find time to appoint a permanent Minister of Defence to oversee and provide the much needed impetus to the programmes for modernisation of the Indian armed forces.